Change is afoot on the environment, social and governance (ESG) investing front. From conversations with institutional investors, it is clear that the lack of asset owners signing up for sustainable investment hinders further ESG integration into the investment process. But as ESG gains in prominence, this will soon be a thing of the past, and those asset managers who possess the desired skill set will reap the dividends. According to the ESG global survey 2019 conducted by BNP Paribas, asset owners in the APAC region ranked “ESG research capability”, “dedicated ESG investment team” and the “alignment of ESG values and missions” as the top three criteria when choosing managers for ESG investments. The proportion of asset owners ranking “ESG research capability” and a “dedicated ESG investment team” in their top three criteria has increased by 8% and 6% respectively from 2017. Asset managers facing increasing demand for ESG research have to overcome several hurdles. One of the biggest headaches is sourcing suitable talent. 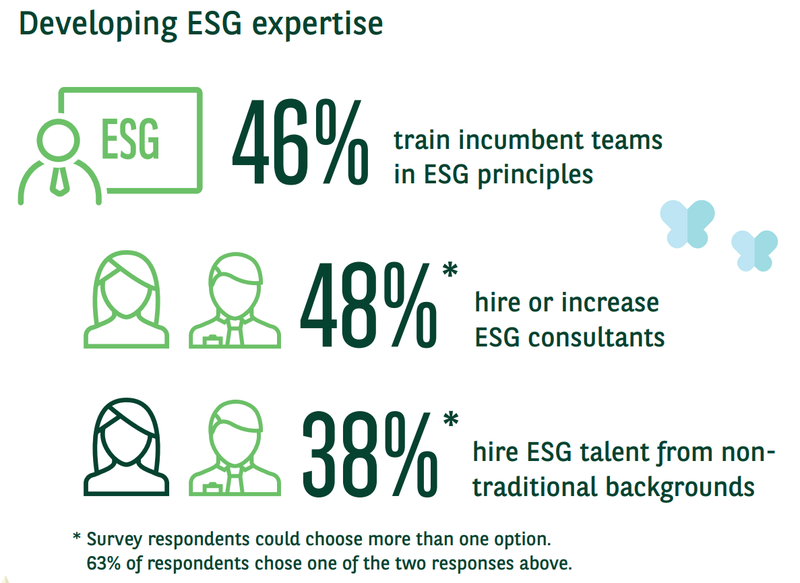 To “hire or increase the number of external ESG consultants/specialists” and to “train incumbent teams in ESG principles and best practice” are the top priorities of asset managers who plan to integrate ESG standards more fully into investment decisions. 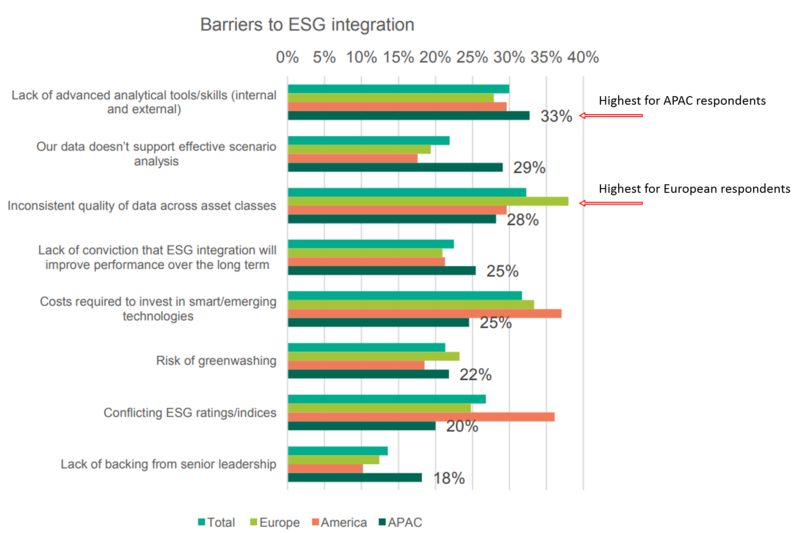 There are other roadblocks towards more ESG integration. 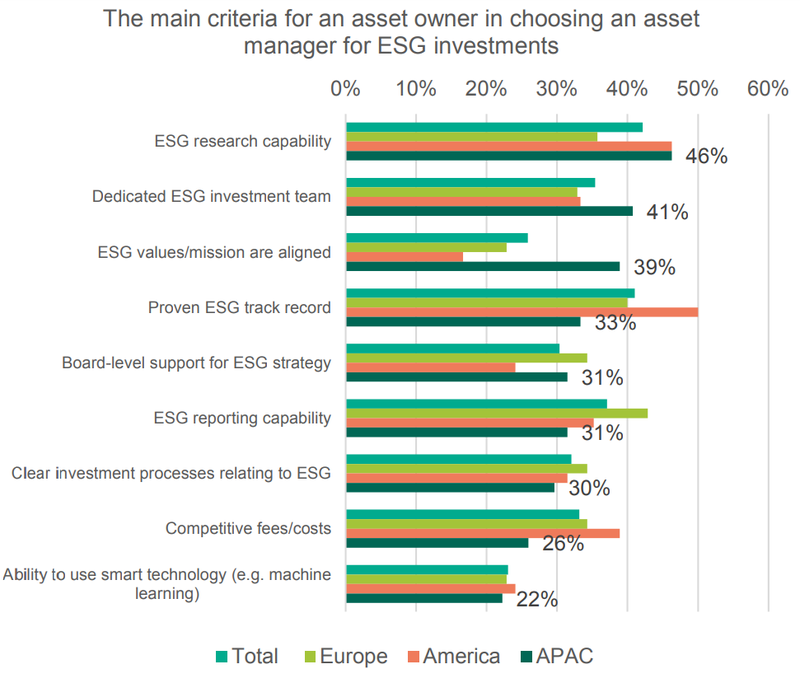 Unlike for the European institutional investors (who are primarily confused by inconsistent quality of data), the lack of advanced analytical tools and skills is the biggest factor hindering asset managers in APAC who want to conduct comprehensive ESG research on companies and securities. Out of the three factors that comprise ESG, governance was selecyed by a total of 26% of investors as the most difficult factor to analyze and integrate among the three, up from 14% in 2017. One possible explanation explaining the upturn is that as the investor community gains a broader understanding of the issues surrounding corporate governance, the list of factors under consideration broadens. Consequently, corporate governance becomes a much harder factor to analyze and integrate. Another underlying reason could be that the ESG information is very localized. A conversation with a Thai investor sheds light on this issue. “It is sometimes very difficult to sort out corporate governance issues connected with a company. Some companies are not that transparent, and so we will have to look into individual managers, one by one. But normally, we have known the particular corporate in Thailand for a long time, so we have a certain level of understanding to justify who is good and who is bad for us,” says an investment manager from a Thai asset management company.